I am known amongst friends and worldwide as The Sensei of Vintage 1980s Guitars 禪. That said by experience and as a collector i am the foremost expert on the model history of Floyd Rose. I am also a renown expert on the manufacturing history of the Floyd Rose tremolo. This evidenced by the many collectible Prototype Floyd Rose Tremolos sold on this web site. Since 1982 I have worked intimately with Floyd Rose product. Early on I was inspired by the invention of the Floyd Rose Locking tremolo and the artists that started using these systems. Over the decades my company AlienXnation has sold more prototype and first run collectible Floyd Rose bridges than any other company by far. 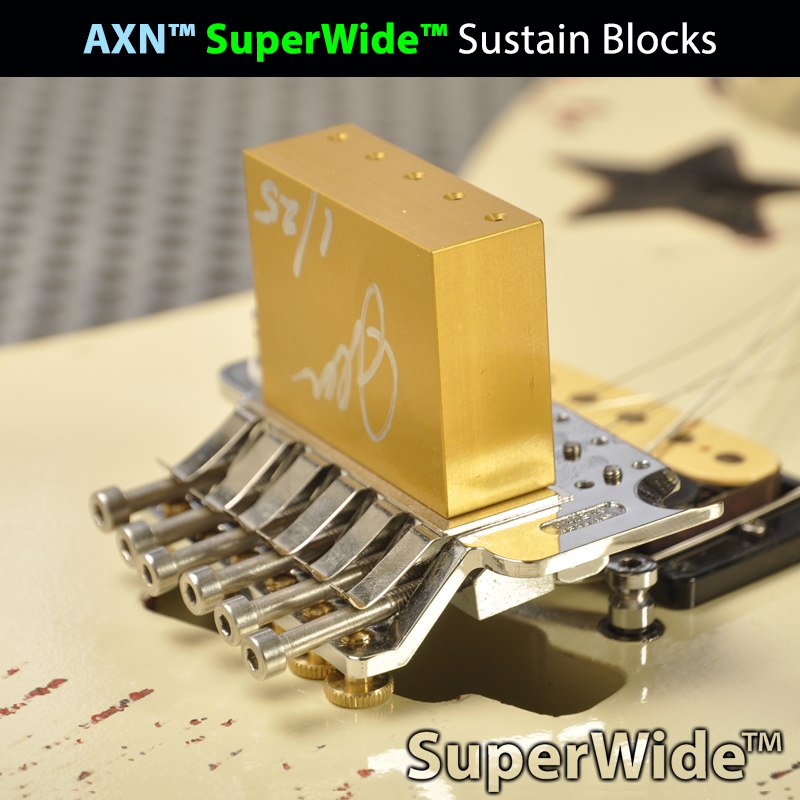 In 2013 we completed research and testing on the collectible Floyd Rose numero uno tremolo we owned and the Big Block sustain block attached to that bridge. We uncovered some interesting facts about the metals used on these and the tones that are now famous from the prototype Floyds. We learned that certain metals generate a specific sound altered and adjusted by weight mass and metallurgy. 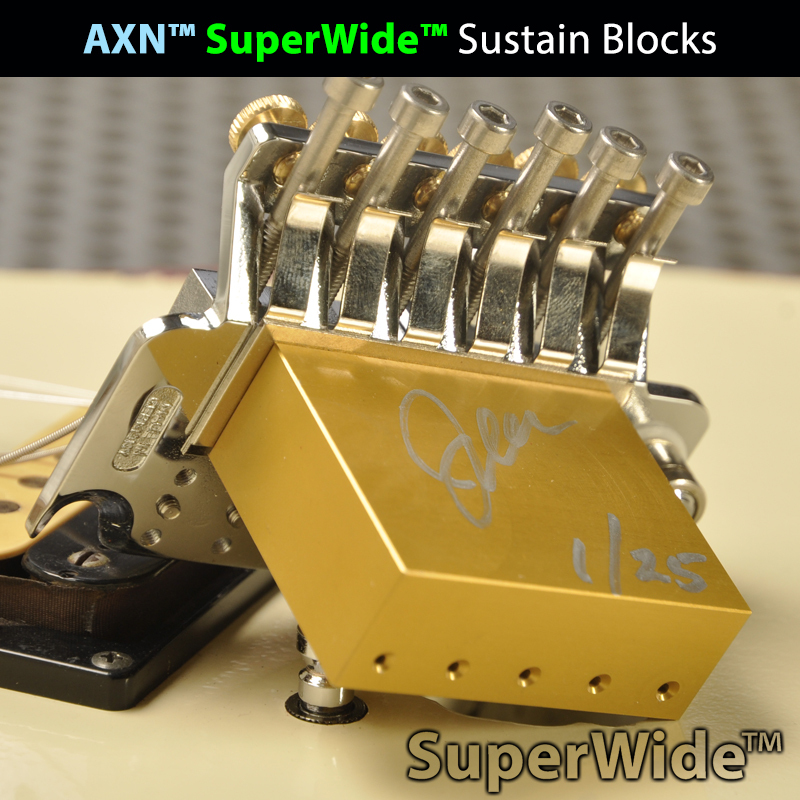 An artifact of that design is a "flutter effect" that Floyd Rose users like to add to their guitar solos. Another artifact or "art" is the bar dive we all enjoy. In 2015 with the help of a local aerospace machine shop I started producing USA made exact duplicates of the original sustain block mounted to the first incarnation of the Floyd Rose. 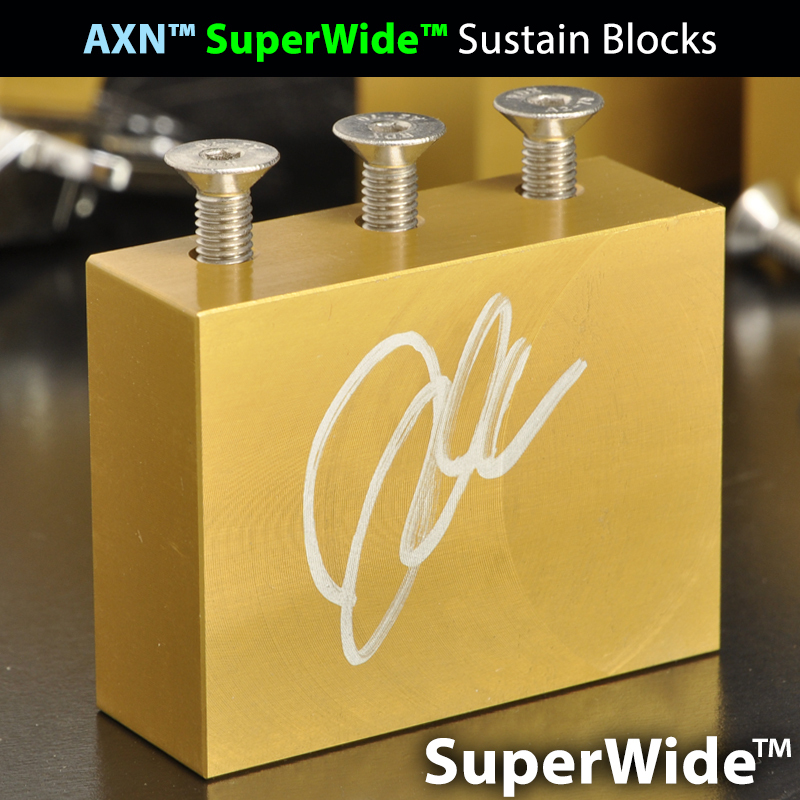 With my AXN™ SuperWide™ Sustain Blocks I was able to achieve the Full-Tone that the original famous bridge produced. That tone was recorded by just a few guitar heros of that early 1980s period. 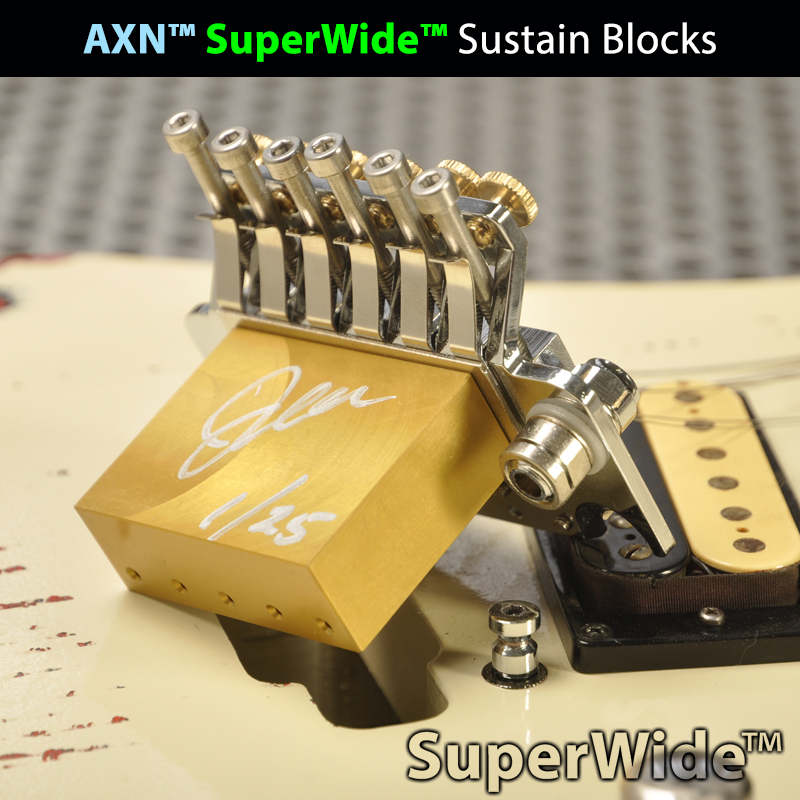 The result and fruits of our labor was the AXN™ Model-84' Boutique SuperWide™ Steel Sustain Block. In a short time I will share some of the knowledge I have in regards to Floyd Rose Collectible Prototypes on this page. Please check Back!